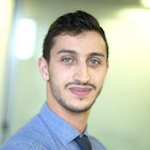 Mahdi BRAIK is a French security enthusiasts and works as infosec auditors at Wavestone, an international management and IT consulting company. He works on all kinds of security audits, penetration tests and incident responses through the company CERT. He developed a specific interest in Hadoop technologies few years ago: as he got to know how immature this ecosystem was, he decided to hunt for vulnerabilities in it. That said, he likes to git push new infosec tools (check https://github.com/maaaaz) and writes some blog posts, either in the corporate blog or in infosec-specialized French magazines.